« Vlad, how come I can’t get on the beta? 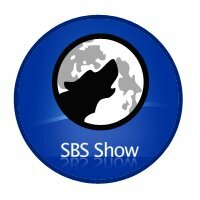 Tomorrow night we'll tape the 14th SBS Show. This will be our weekly excursion into the world of small business with "My Fair Lady" cast of Vlad Mazek, Chris Rue and her majesty Susanne Dansey. I am not totally sure what we will talk about but I'm taking input (off air please). We're going to look at things we're changing around for 2006 to respond better and things we're looking forward to seeing and accomplishing this year. Perhaps this gives you some ideas on what opportunities may be waiting for you! You’ve got big shoes to fill after Harry Brelsford’s appearance on #13. I’ve listened to it TWICE now! Incredible show. I would enjoy listening to a show on things that almost crushed your business and how you pulled out of it. I you and your, I mean the guest or better yet guests. I really enjoyed Dean Calvert’s talk on this topic at SMBNation. While it’s not SBS specific there are a lot of us consultants out there that listen to the show. It’s disaster recovery of another sort. We’re recording it right now.. Susanne is actually interviewing Roger Otterson as I type this. She is awesome!